As one of the biggest packaged food categories by volume, bread holds huge sway over the prospects of many food ingredients. Thus, changes to the way bread is consumed has major ramifications for the ingredients industry – this update from Euromonitor International. Globally, 133 million tonnes of bread were purchased in 2016, making the product the second most consumed food category, only losing out to drinking milk products. Although global growth has stalled (with a CAGR of 0.4% recorded between 2011 and 2016), the category is the primary user of many ingredients, hence any changes in volume consumption have major repercussions within the ingredients industry. While Western Europe has the largest bread consumption, at 36.2 million tonnes in 2016, it is a market in which decline is expected to continue, with a CAGR of -0.1% forecast between 2016 and 2021. In Western Europe and other developed regions, there is a clear movement away from packaged leavened bread, with consumers either eliminating bread entirely, or purchasing unpackaged artisanal bread, which is perceived as healthier. In contrast, strong growth is coming from emerging regions where packaged bread is increasing in popularity as consumers prioritise taste and convenience. In China, for example, packaged bread is forecasted to present a CAGR of 3%. The industry’s reliance on emerging markets for volume growth is so great that all the top 10 markets for CAGR volume growth, both historically and in the forecast period, are found in either Asia Pacific or the Middle East and Africa. 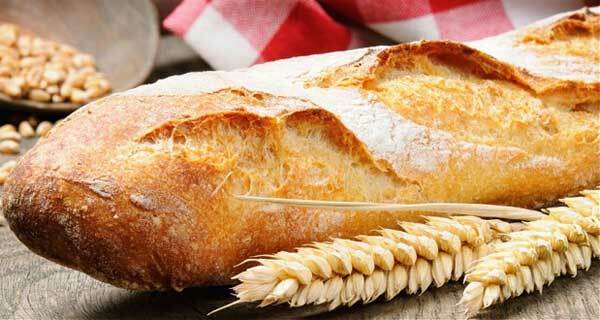 Take for example the increased demand for “wheat free” bread varieties and the desire for fewer carbohydrates. This trend has increased the demand for ancient grains (such as amaranth, quinoa, millet, spelt and teff) and seeds (such as chia and flax), often added to increase a product’s fibre or protein content. The growth of US organic baking brand, Dave’s Killer Bread, purchased for $275-million by Flower Foods in 2015, embodies this trend. The brand experiments heavily with various grains, flours and seeds, and recorded a CAGR for retail value sales growth of 29% between 2011 and 2016. Awareness of gluten-free bread has also never been higher, with this product area recording a volume CAGR of 19% from 2011 to 2016, and Australasia, North America and Western Europe showing particularly strong growth. Behind the increased growth and awareness, however, consumption remains minor, with gluten-free representing over 0.5% of total bread consumption in only nine markets, with all of these located in developed Western regions. Part of this may be reticence on the part of major manufacturers to invest. This is because bespoke factories are needed for gluten-free products to ensure the absence of all potential allergens. Unable to commit to this, manufacturers are instead using co-packers working in smaller facilities to create gluten-free lines. Every market is highly variable, with the dominant bread type differing. However, it is clear that the traditional packaged white bread is no longer what every consumer wants. This has major impacts on the demand for ingredients. Suppliers should utilise consumer feedback to understand what a market’s typical consumer wants in terms of taste, health, freshness and convenience. They are in a position to supply the means for change, with new flours, grains and fibres, but the success of each product will continue to depend on the traditional factors of taste, price and scalability.